These vehicles are often used for climbing trails, as evidenced by their mud coating at the end of their off-road trips. However, this new 2018 version brings a rich endowment that now positions the 2018 Jeep Grand Cherokee as an exciting alternative to the premium 2018 SUVs on the market, and it provides a road behavior that always impresses. Also, it is as dynamic as its 2018 competitors. To complete his career serenely, the 2018 Jeep Grand Cherokee offers a slight restyling that further affirms his style, and retains all his best qualities. This car is the 2018 Jeep Grand Cherokee, a vehicle that should change the perceptions of many consumers. You should be impressed by its new front, with a more refined design but still featuring the seven traditional air intakes, and a redesigned lower part, which comes in several versions specific to the finishes. The set is completed by new LED fog lamps. We also find chrome inserts, a double rectangular chrome exhaust tailpipe, and wide rims with 20-inch polished aluminum and “Satin Carbon” finishes. While retaining a Jeep style, with its ample wings and its compelling lines, this restyling of the automobile is noticeable especially with these new additions and it is also more assertive than earlier Grand Cherokees. Remember, it is possible to travel in style, and you will enjoy driving a luxury car with this fabulous automobile. At the rear, passengers will be entertained by two retractable screens, integrated into the front seats and connected to a DVD / BluRay, an add-on option. The dash, meanwhile, skilfully combines a digital display with traditional tachometers and fuel and temperature gauges: the set offers excellent readability. Note also the presence of an Alcantara sky roof, as well as exotic wood inserts on the steering wheel, dashboard and door trim. 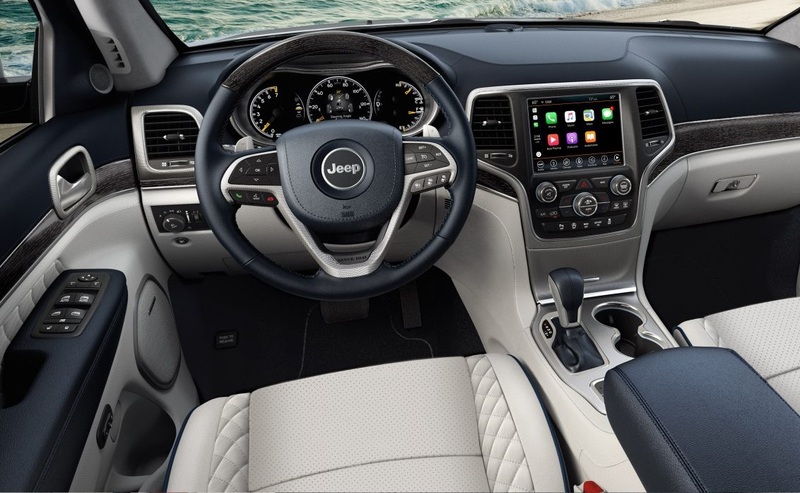 On board, the Grand Cherokee Summit Signature offers a refined presentation, with a specific interior upholstered in light gray quilted leather, which is also found on the storm doors, and embellished with piping on the seats. To complete this endowment, there is also a Harman Kardon audio system. Remember, there are usually sacrifices to make to enjoy such exceptional off-road capability. However, the roominess is excellent, and it comes with comfortable leg room in the rear seats, and a panoramic glass sunroof that brings a pleasant brightness on board. The trunk also has a high capacity, that increases once the rear bench is folded. It is associated with a Uconnect multimedia system integrated into the center of the dashboard with a touch screen, whose ergonomics impress. Thus, come and see the helpful folks at Pollard Jeep Of Boulder, near Denver Colorado and serving the Denver area, to evaluate this SUV. The noise of the tires on the road is notably attenuated, and the chassis remains stable on the highway. Everything is controllable from the wheel and buttons located on the center console, and 4×4 features can be monitored at any time from the touch screen of the car. Whatever its engine, the automobile remains an excellent 4×4 off-road. Although this large block is somewhat noisy, soundproofing is exceptional, and the comfort is impressive. The engineers have also made sure to give this car greater maneuverability. In the city, this automobile, even with its enormous size, it is still quite easy to drive. On the road, the big engine offers excellent force, with a power that is impressive: it is the perfect unit to tow the tons of the machine. What a way to swallow miles without counting, in a clean and welcoming cocoon. But this elevated position is also an asset, offering the automobile real crossing capabilities, as well as a permanent Quadra-Drive II all-wheel-drive coupled with a Quadra-Lift air suspension to vary the ride height, not to mention the Selec-Terrain that allows you to manage the traction according to the driving conditions, with 5 predefined modes (Mud, Snow, Auto, Sand, and Rock). Accordingly, call on the reliable staff at Pollard Jeep Of Boulder, near Denver Colorado and providing service to the Denver area, to assess this SUV. Are these reasons to get excited? Of course. After all, there are tons of thirsty SUVs on the market that are also underperforming. In short, this car provides a consumption worthy of a family sedan by an SUV that can tow two family sedans. This SUV, therefore, offers an economic engine and one that is very appreciated. 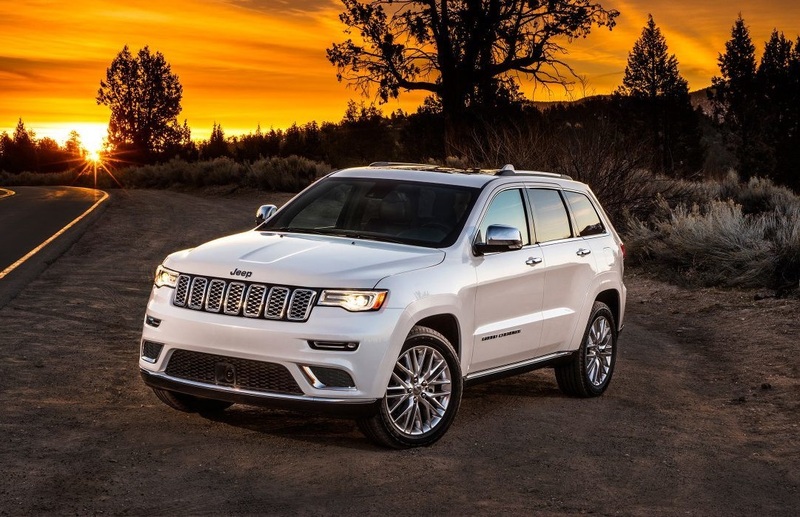 It is probably on the highway that the Jeep Grand Cherokee is most comfortable: trips will be made safe thanks to a powerful engine and high torque, offering vivid handling. However, we will also benefit from a soft automatic that is pleasant to use, whose passages are smooth and fast. This vehicle has always seemed stable and safe on the road, which will convince many buyers. The pleasure remains intact on the highway where the long journeys will be only a formality. 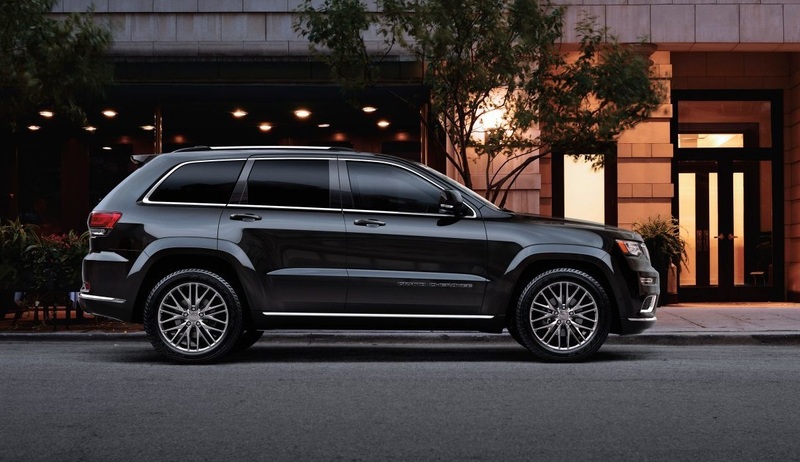 The Grand Cherokee is a trail-rated Jeep with a powerful engine. In other words, it is a vehicle that is world-renowned for its off-road capabilities, and it is also powered by a world leader in engines. 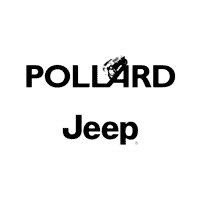 So, phone up the trustworthy team at Pollard Jeep Of Boulder, near Denver Colorado. They offer support to the Denver area, and they will help you to examine this SUV.